Adding a carport to your home can be a life altering decision – there are many hidden benefits that come by building this simple structure. If you have been considering investing in a structure to protect your car but aren’t sure whether to build an enclosed garage or an open carport, here are some reasons as to why a carport is the perfect option for you. The most obvious benefit of a carport is that it protects your vehicle from being damaged by harsh elements, like the sun, hail, wind and rain. But it also makes unloading the car easier with a bit of overhead protection. Carports are reasonably cheap to have installed. Because there are so many options to choose from, costs can be kept lower than when building an enclosed garage. 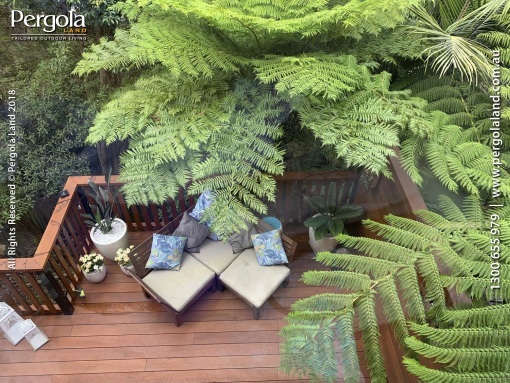 There is the option of using either steel or wood for the frame, while roofing can be galvanised steel, Colorbond roofing, tiles or just laserlite sheeting. You can even choose whether to have a flat, pitched or gabled roof, depending on what the budget allows. Carports don’t need flooring to be a function area. Dirt or grass are fine, while many people choose to have gravel, river rocks, pavers or cement as the carport floor. 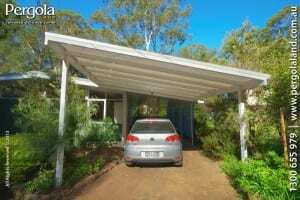 Carports can easily be customised to reflect the look of the existing home. Roof tiles or Colorbond sheeting can be matched, and it is easy enough to paint the frame the same colour scheme as the house. This all contributes to making the carport appear as though it was part of the homes original design. The structure can be freestanding or attached to the house. Depending on the layout of your property, adding a carport close to the home can even help reduce the effects of the weather by serving as a windbreak and keep the house at a more stable temperature. A carport can serve as an instant entertaining area. No longer will you have to worry about weather ruining a planned birthday BBQ, as your carport provides the perfect cover all year round: you can even go as far as installing polycarbonate or tin sheeting as walls for added protection. If you change your mind about wanting a secure area, a lockable roller door and walls can easily be added to the structure.